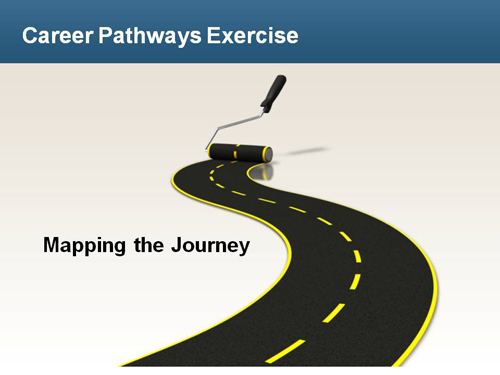 In this module's first activity—which you can do on your own or with a group—you're going to consider a specific set of needs that you have with respect to creating a career pathways program. 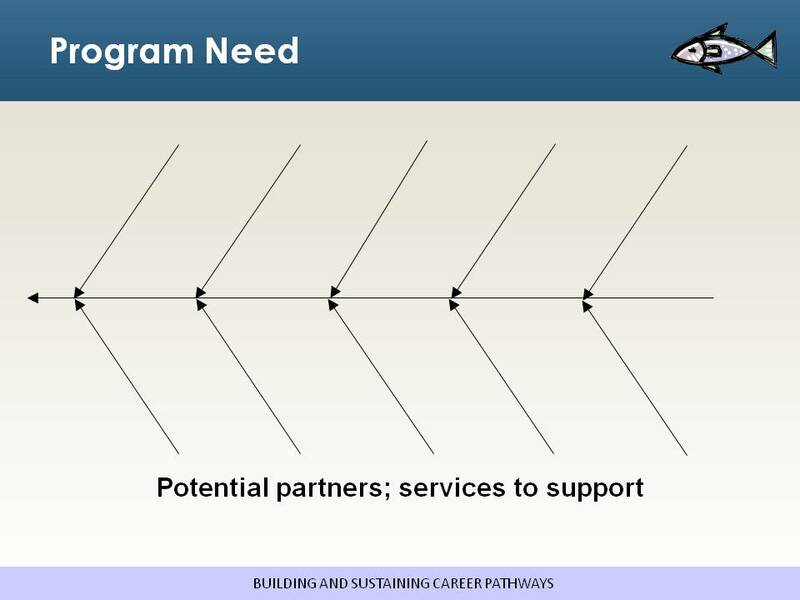 Using this fishbone exercise, identify program needs (of any kind) across the top "bones" and then brainstorm potential partners and/or services to support you in meeting those needs on the bottom "bones." You'll find this a useful template for brainstorming other aspects of your career pathways system planning as well. Throughout the remaining modules, you are going to assess how well your institution and/or partnership is doing, or is prepared to do, in a particular focus area of career pathways. In this module, you'll assess your work around the topic of Partnerships. After you consider what's working and what needs improvement, use the questions on page 2 of the activity sheet to discuss opportunities, challenges, and action items with your group. You'll use your responses to help prioritize tasks for the Action Plan you'll create in Module 5.